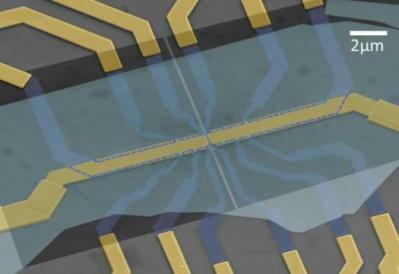 Researchers from Penn State University developed a topological valley valve, which controls electron flow. 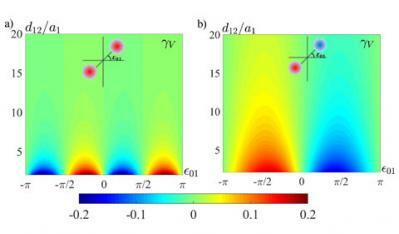 Using electron "beam splitters", the researchers achieved high-level of electron control. Using bilayer graphene, the researcher created electron waveguides created by gates defined with extreme precision using state-of-the-art electron beam lithography.By controlling the topology of the waveguides (the valley-momentum locking of the electrons), the researchers can control electron flow. Researchers from Ohio University have found a simple yet effective way to achieve current valley separation in graphene. The idea is based on inversion symmetry, or the creation of properly oriented obstacles that break an important symmetry of the graphene crystal. This is a theoretical work, but the researchers say that the results could enable seperating and controling valley currents in graphene in real experiments which will hopefully lead to the utilization of graphene in future valleytronics devices.